It's difficult to imagine a more dramatic setting for golf than Maui. Boasting several of the worlds best golf courses, the 14 18-hole masterpieces on Maui each offer something for every type of player. And with the intoxicating views of fairways alongside ancient lava flows, tees surrounded by palm groves, and greens arched by rainbows formed in the ocean mist, it makes each of the Maui Golf Courses even more challenging. Focus is key however as youll need your scorecard for bragging rights. Kapalua offers 2 courses - The Bay Course and The Plantation Course, which is home of the PGA Tour`s SBS Championship each January. Kapalua is located approximately 7 minutes north of The Whaler. Kaanapali offers 2 golf courses for all levels of play. Located right across the street from The Whaler, the resort underwent a $13 million renovation in 2005-2006 and was given a 4.5-star rating (out of five) by Golf Digest in the magazines recent Best Places to Play guide. Kaanapali was selected by The Golf Channel to host the Big Break Kaanapali that aired in 2008. When you play at Kahili Golf Course you?ll see why Maui is known as the Valley Isle. 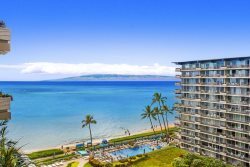 Nestled in the foothills of West Maui Mountain, Kahili offers bi costal panoramas stretching across a vast valley with sea to summit views of Haleakala Volcano. Constructed in 1991, and designed by Robin Nelson and Rodney Wright, Kahili Golf Course is a must play during your time in paradise! You will experience a day of golf, dining and breathtaking views at one of the best courses Maui has to offer!